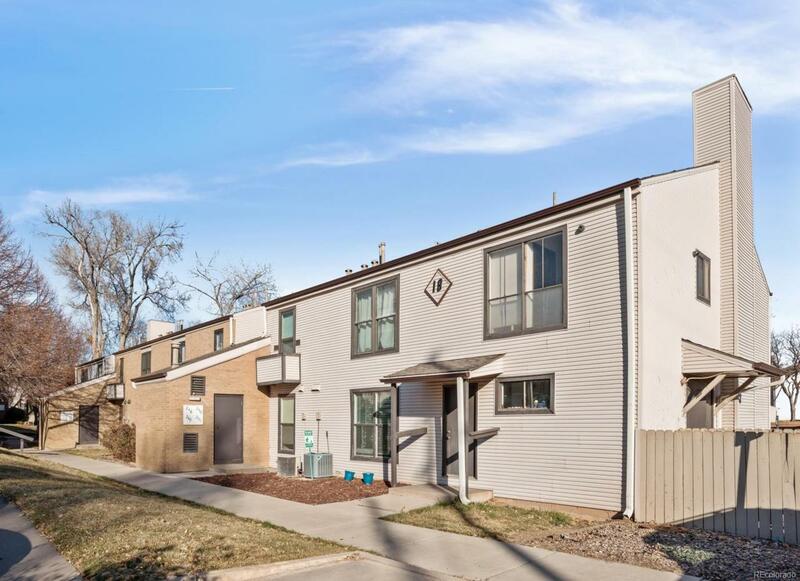 Fantastically updated 2bed/2bath condo in desirable Pebble Creek. This end-unit has great views of the pond and is close to both the clubhouse and pool. Brand new carpet, new vinyl flooring in the bathrooms, new interior paint, and new thermostat. Light and bright modern kitchen with new countertops, new contemporary backsplash, a new garbage disposal and new lighting. Youll love the open feel, two closets in the master and a linen closet, the huge walk-in closet in the second bedroom, having the second half-bath, and the abundance of storage. Youll really love this units balcony right off the living room that overlooks the pond and is surrounded by trees and greenery. Plus, all the HOA amenities: a clubhouse, swimming pool, and tennis courts. Close to major transportation and easy access to both the mountains and downtown. Clean and well maintained unit. Hurry, this one wont last long!